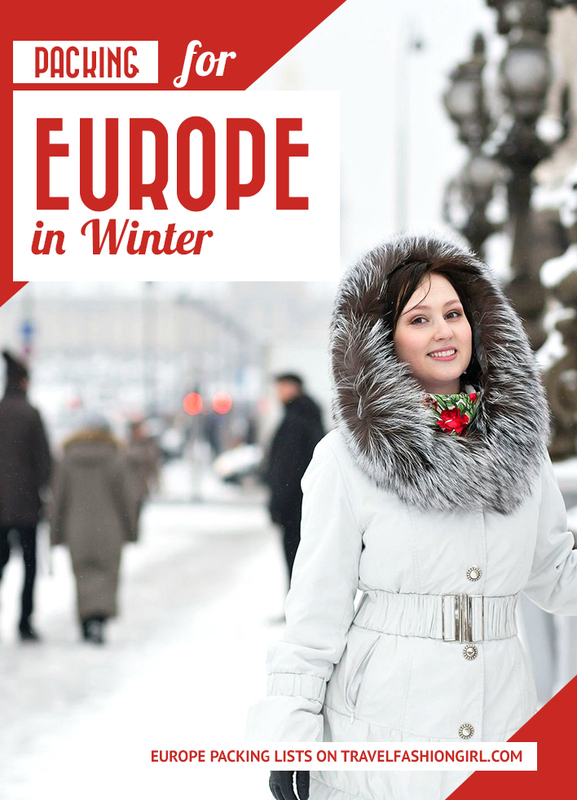 Traveling to Europe in the cold winter season? 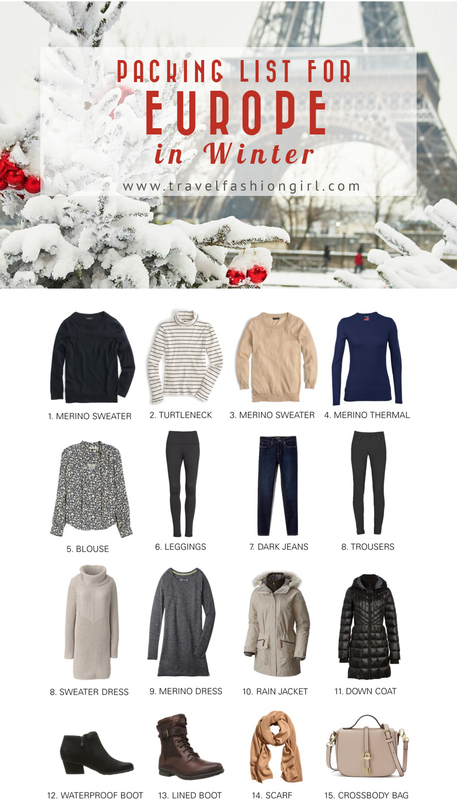 Read our ultimate Europe winter packing guide, with fashion tips and travel tricks for a variety of countries throughout the continent. Bookmark this post as we’ll be adding more destinations and updates! Winter in Europe runs from November to March and is generally damp and wet. However, you may be treated to warm weather in some southern countries. No matter where you visit, you should always be prepared for changing conditions, using layers, umbrellas and accessories to ensure you don’t get caught out in a sudden rainstorm. To help you plan, we’ve compiled our readers’ top tips for some of the most popular destinations. Traveling carry on only? Here’s how to pack for two weeks in Europe in winter! The weather in the UK is always unpredictable, but when packing for Europe in winter you should definitely expect rain (and lots of it!) and potentially snow in some areas. Whether you’re immersing yourself in the city of London, exploring the countryside in Wales, or experiencing the wonders in Scotland, the UK is a fantastic place to visit all year round, as there is plenty to see and do. A waterproof jacket or trench coat is an absolute must for your winter vacation, and if you’re traveling around the country, it’s important to invest in one that is lightweight and folds away to fit easily in your carry-on bag. 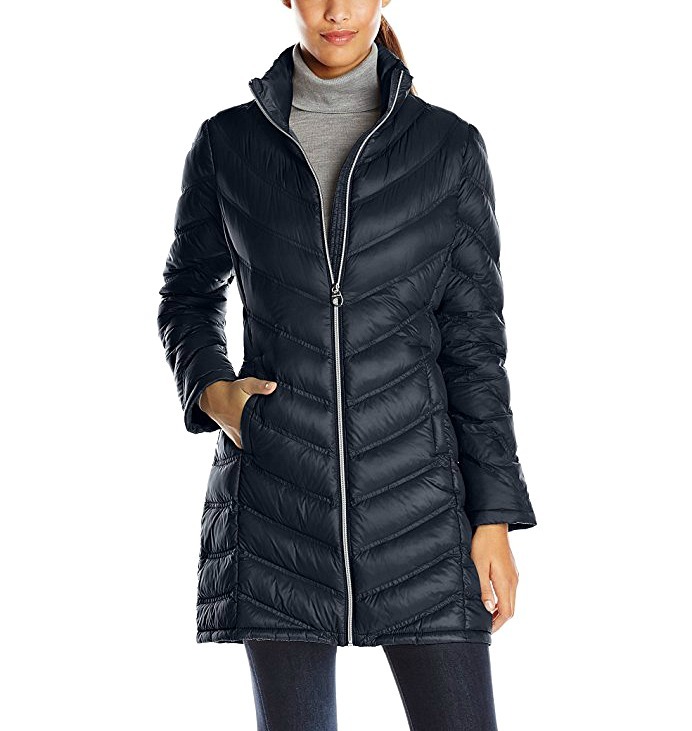 Choose an insulated jacket or layer a packable down jacket underneath for the perfect travel combination. Layering is the best way to battle the changing climates in Europe, and this is easily done by packing dark skinny jeans, a long-sleeve merino wool top, a sweater, and a jacket. If you’re visiting London or other cities, a pair of waterproof leather ankle boots and warm wool socks are ideal. But if you’re planning on venturing out into the countryside, consider walking boots. Don’t forget to throw in some winter accessories like gloves, a scarf and a cute hat. 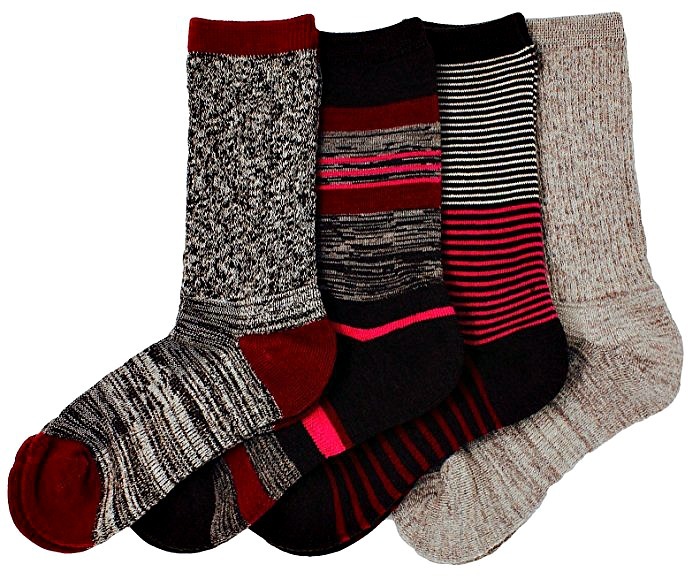 These will keep you extra toasty and are a good way to add some extra color to your outfit. 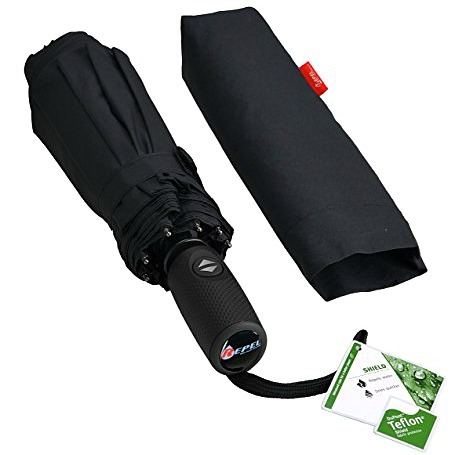 A small umbrella is the perfect accessory for hopping on and off trains or in and out of buildings. Tip: Always keep an umbrella or hooded jacket with you! Rain can occur at any time. For packing tips for England, take a look at this article! The best thing about traveling to France in winter is being able to avoid all of the large crowds, allowing you to experience the Eiffel Tower or the Palace of Versailles without the long lines. The weather varies depending on which part of France you’re visiting. (Read this packing guide for France.) The south is relatively mild, whereas northern cities are cold and wet. Keep an eye on the forecast before you go as it may also snow during your trip. Most locals will be wearing a trench style coat as they’re both fashionable and practical, but remember to bring something more substantial if you expect to spend extended periods outdoors. When packing for Europe in winter, pick something dark to avoid it getting too dirty and lightweight so it packs easily into your suitcase. To prepare for the cold weather, pack long-sleeve tops and sweaters, a pair of jeans or a skirt and thick tights, and finish the look with an oversized scarf. Like most European countries, France is filled with cobblestone streets, so comfortable footwear is an absolute must. Leather boots, waterproof brogues, or leather water-resistant sneakers would be ideal for looking stylish and feeling comfortable during your travels in France. 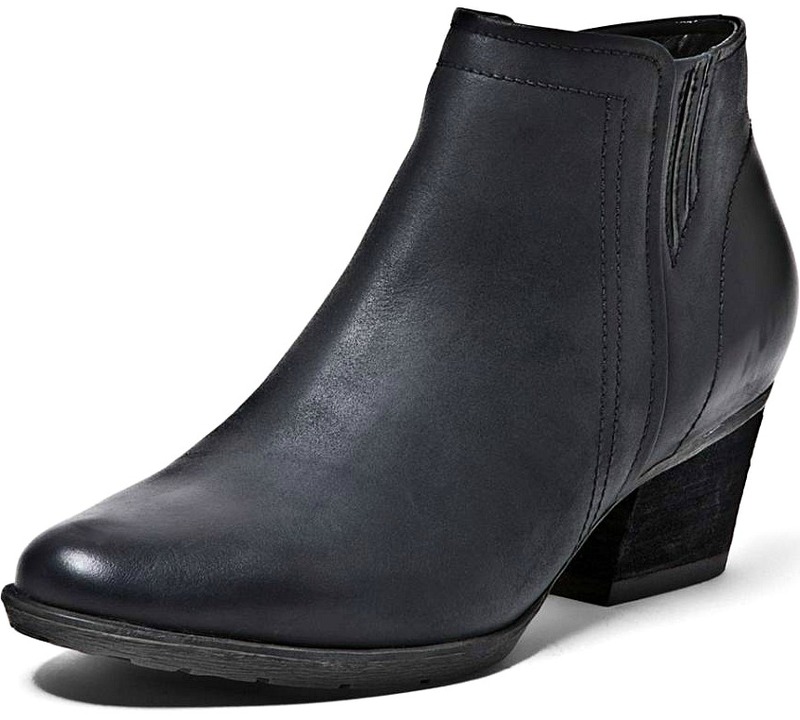 Tip: The most recommended shoes for winter, fall, and spring are a pair of short black boots like these. Read this post to find shoe recommendations for other times of the year. For more tips, read our guide on what to pack for Paris! Italy is one of our favorite European destinations as it offers absolutely everything from fascinating history, to incredible food and beautiful landscapes. Even in winter, this country is a fantastic place to visit, and while most cities will be cold and wet, that doesn’t mean you can’t immerse yourself in true Italian culture. Temperatures will change depending on where you decide to visit. In Milan, you should expect plenty of frost, but as you head further south, you’re likely to experience rain in Rome, and even sunshine in cities like Palermo and Sicily. Layers are essential and you’ll need a mix of cool and warm clothes that you can easily strip off when needed. When packing for Europe in winter, include a pair of dark skinny jeans, a long-sleeve shirt, and a lightweight sweater. If you’re heading up north, you’ll need a winter coat or quilted jacket to keep out the cold, as well as a scarf and gloves. As cities like Milan can be snow covered in winter, it’s important to have a pair of sturdy boots that will keep your feet warm and dry. A pair of stylish leather ankle boots would be ideal for this climate, as long as they have a sturdy rubber sole on the base. If you plan on visiting the south as well, throw in a pair of lightweight sneakers like Supergas for those dry and sunny days. Tip: Don’t forget your umbrella and sunglasses! Italy’s weather is quite diverse as you travel north and south. For more tips, please read our complete Italy packing guide! The Republic of Ireland is home to rich history, inspirational architecture, traditional pubs, and beautiful views. From the popular city of Dublin, to the traditional town of Killarney, Ireland has plenty to offer tourists who will find themselves among some of the friendliest people in the world. Winter in this country tends to be cold and windy with intermittent rain showers spread throughout the day. It is, however, known to have four seasons in one day, so layers are crucial for battling the ever changing climate. If you’re heading to Dublin, remember that it’s a fairly trendy city, where the locals will be presentable and dressed for the weather. Your travel wardrobe should include jeans or travel pants, long-sleeve tops, a sweater, and a warm winter coat. If you still feel cold, pack some thermals, as well. Leather ankle boots like these are ideal for a winter in Ireland, as they are waterproof and will be comfortable enough to walk around in. If you want to add some color to your outfit, pack a bright scarf that will keep you warm and give you a dressier look. Tip: An umbrella will just blow in the wind. To keep yourself dry, wear your coat and run inside a pub. This is something all locals do, and it’s actually good fun. Here’s the best jacket coat for Ireland! Find our what to wear in Ireland! Austria is often overlooked when considering where in Europe to visit, yet there is plenty to see and do. From the history and culture in Vienna to the stunning views in Salzburg, it’s a beautiful country that’s perfect for a vacation at any time of the year. The average temperature in winter hovers around freezing, which means you’ll need warm and thick layers wherever you visit. Innsbruck and Vienna will also have a fair amount of snowfall during this time, so thick waterproofs are a must. The fashion in Austria is generally smart casual, with most women wearing dark colors and a fur coat to keep out the frost. Long-sleeve tops, a warm wool or cashmere sweater, and black jeans make for a perfect ensemble for an Austrian winter. 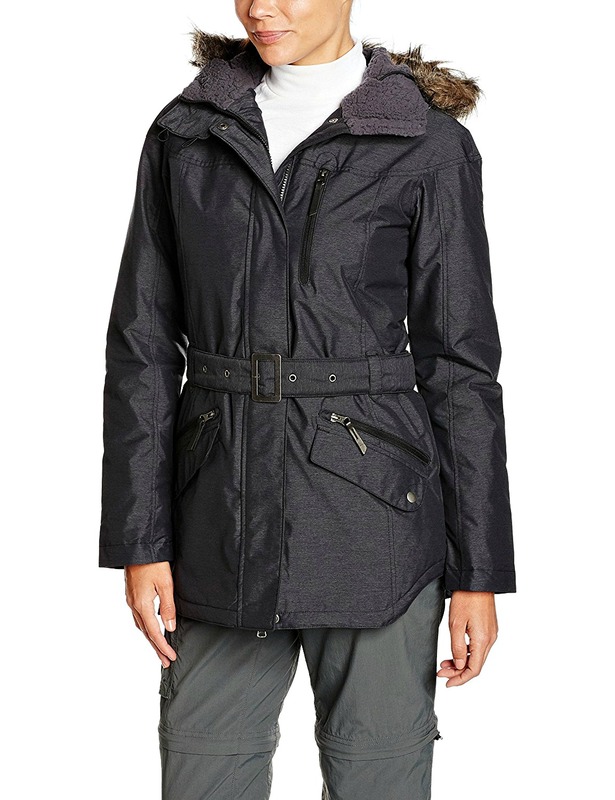 Top it off with a lightweight down jacket with a waterproof outer-layer. When packing for Europe in winter, bring merino wool thermals, wool lined socks and waterproof winter boots if you’re heading to snowy regions, and if you’re planning on skiing you’ll need salopettes, goggles and ski gloves. Tip: Jump on a train to visit different places and make the most of the stunning views. Here’s the best down jacket for travel! Germany has so much to offer tourists at any time of the year, from the history in Berlin to the architecture in Munich, and not to mention the various markets and beer festivals that take place across the festive period. Winter in Germany is known to be bitterly cold, with icy rain, arctic winds, and average temperatures of around 38 degrees. However it’s an excellent time to visit if you want to avoid large crowds for low prices. Pack a pair of dark wash jeans or travel pants, and pair them with long-sleeve shirts, and a fleece or sweater to ensure you’re as comfortable as possible. If you’re not used to cold weather, wear merino wool thermals under your clothes and accessorize your outfit with a hat, scarf, and gloves. 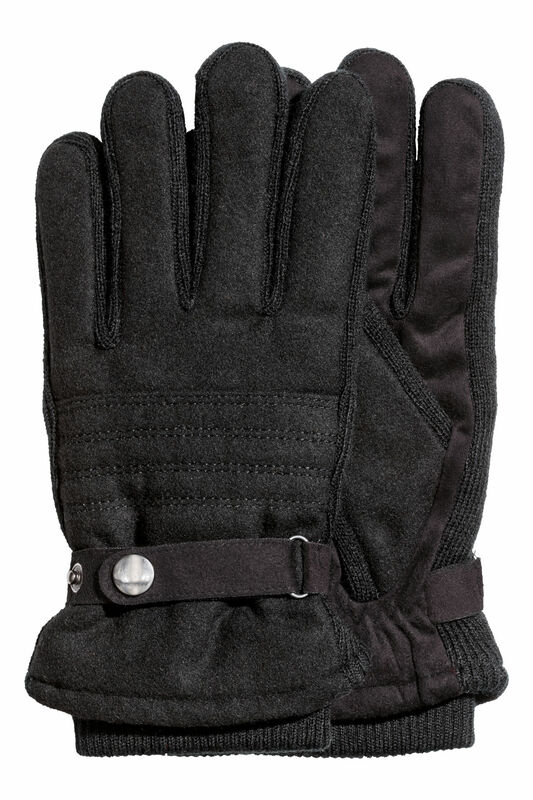 Keep your feet warm with thick socks and waterproof boots with a faux-fur lining and a good grip on the bottom. Tip: Due to the strong winds, an umbrella will be next to useless in Germany. Instead, pack a thick waterproof and windproof jacket with a hood to keep out the rain. There are so many reasons to visit Sweden in winter, from a chance to see the mind-blowing Northern Lights to the opportunity to ski at one of the 200+ resorts, or to visit Stockholm’s traditional markets. This European country is like a frosty wonderland and should not be missed. Winter here will most likely involve lots of snow and sub-zero temperatures. But there is plenty of heating indoors, so layers are a must so you don’t overheat. This can make packing for Europe in winter tricky! Read tips about this here. 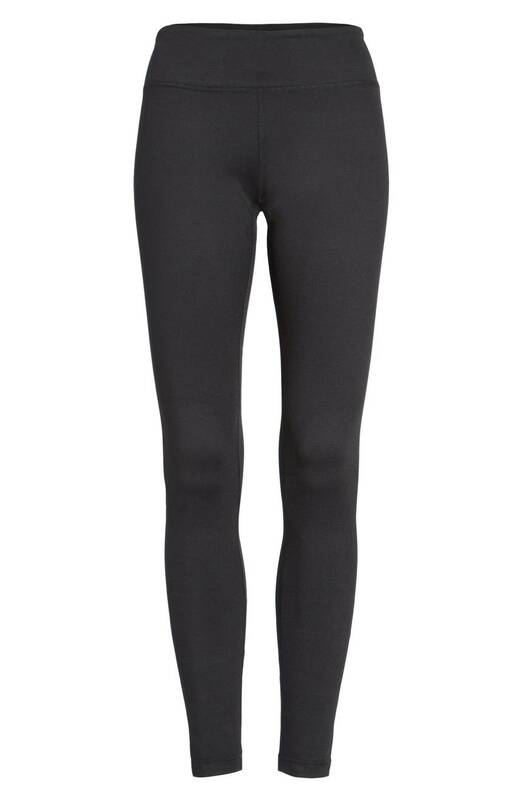 Start with merino wool thermals to wear under your clothes. 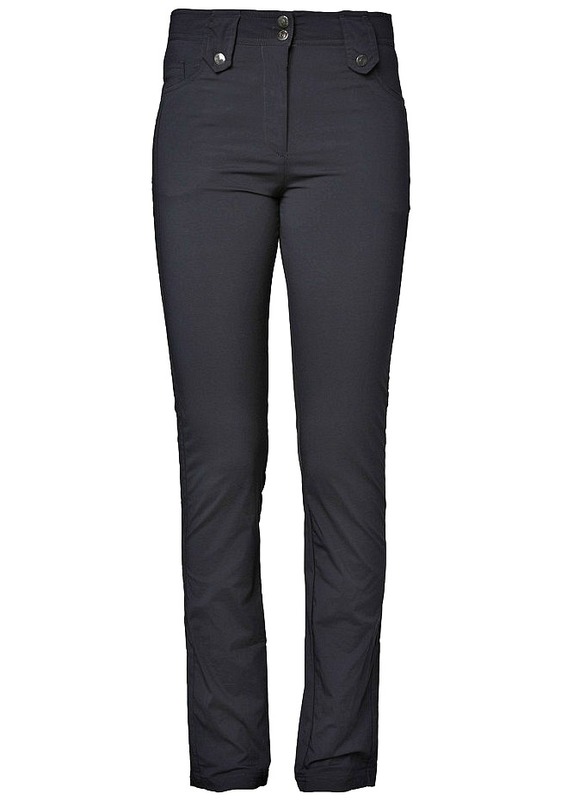 Then add a pair of jeans (for the cities), a sweater, and a down jacket with a waterproof outer layer to keep you dry. If you’re planning on getting involved in activities like sledding or skiing, you’ll need to invest in some salopettes or waterproof travel pants. Faux-fur lined snow boots are great for ski resorts in Sweden, or if you’re just sticking to big cities then a pair of winter-friendly ankle boots will be fine. Don’t forget some wool socks, as well as a hat, scarf and warm gloves. Tip: If you go skiing or partake in any snow activities, don’t forget sunscreen and sunglasses to protect from the harsh glare. Another popular European destination in winter is Switzerland. This mountainous country is full of glistening lakes, traditional villages, modern cities, and, not to mention, some very beautiful ski resorts. While Switzerland doesn’t get as cold as some of its neighbors, winters here can still consist of rain, wind, and snow with average temperatures of 32 degrees in January, and only a few hours of daylight. The fashion is conservative and casual, which means dress for comfort and style. If you’re planning on staying in the cities then pack a pair of dark colored jeans, shirts, a jacket and a waterproof coat, as there are plenty of outdoor markets to explore. For anyone wanting to venture into the mountains or towards the lakes, thermals and long-sleeve tops are a must. Add a hat and gloves for warmth, and throw in a few scarves to dress up your outfit for an evening out. Wear warm socks and sturdy, waterproof, lined boots to keep your feet warm. The wind is normally too strong for an umbrella, but you can bring one for the occasional mild day. Tip: The trains in Switzerland are a terrific way to travel! They are clean, safe, and efficient, and will take you everywhere. Norway is a diverse country with cosmopolitan cities, stunning glaciers, and breathtaking coastlines. Throughout December to February, Norway turns into a winter wonderland, and many people visit at this time of year to see the Northern Lights. Temperatures vary depending on what part of the country you visit, as the coastline is mild and wet and the central regions are a lot colder with plenty of snow. When packing for Europe in winter, take quick-drying travel pants that will keep you toasty and dry, as well as long-sleeve tops and a sweater or cardigan. I’d recommend merino wool thermals for this destination as Norway can get unbelievably cold. Wool socks and a colorful wool scarf are an absolute must for snowy conditions. If you’re planning on skiing in this beautiful country, you’ll need to pack appropriate ski gear, including salopettes, thick waterproof gloves, and a proper ski jacket. You can’t go wrong with a neutral, minimalistic travel wardrobe featuring well-tailored pieces and clean lines to mimic the preferred Scandinavian style. Tip: Check the weather before you go. If there’s a lot of snow, make sure you have some winter boots with good traction on the bottom. Here are more tips on what to wear in Norway in winter! Traveling to Russia in winter is like being transported to a snow covered fairytale, with cities like Moscow and St. Petersburg filled with fascinating markets and cultural sights. The temperatures in these areas can drop down to 14 degrees Fahrenheit, making it a bitterly cold place to visit. Check the forecast before you go and be prepared to wrap up warm. Pack an underlined raincoat that is roomy enough to wear layers underneath, and opt for some dark travel pants that will dry quickly and not leave you feeling uncomfortable. 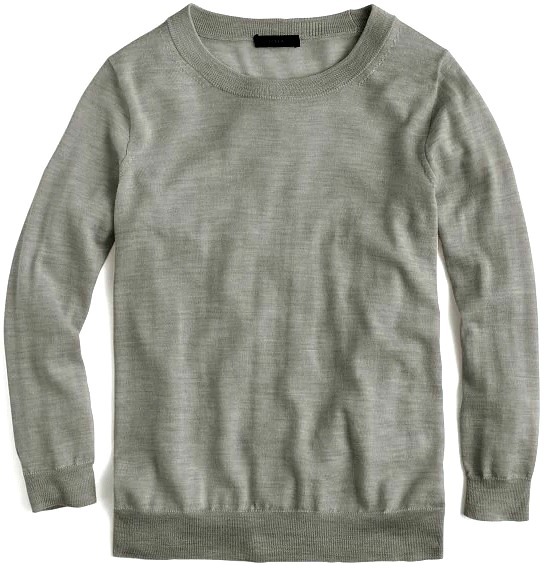 Wear Merino Wool thermals under your clothes and add a wool cardigan or hoodie. 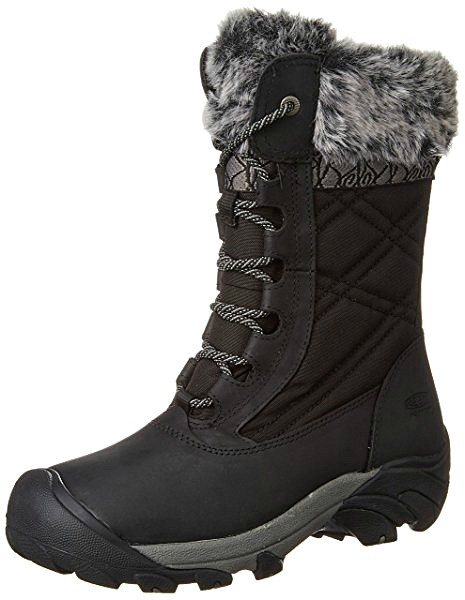 Winter snow boots are ideal for shoes as they have a strong grip on the sole and an inner lining. 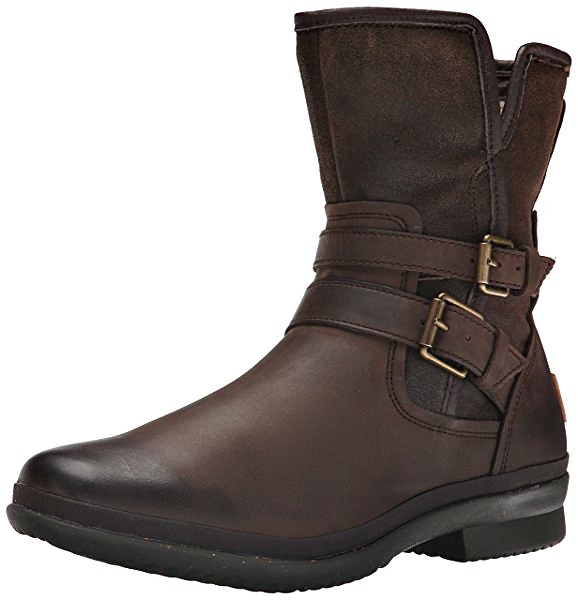 If you want a dressier look, pack a pair of sturdy leather ankle boots with grip to get you across slippery streets. Tip: You will need to cover your head if you visit any churches, so pack a few scarves for style, warmth, and practicality. If you’re wondering what to wear in Russia in winter, take a look at what they recommend you bring for your vacation. The Netherlands is a beautiful country filled with history and architecture. Whether you’re heading to Amsterdam, Rotterdam, or another city, prepare for a cold and wet climate throughout the winter. However, winter is still a fantastic time of year to visit as prices are generally lower, there are plenty of winter markets to visit, and there are far fewer crowds than the summer months. Fashion in the Netherlands is practical and casual, consisting of mainly dark colors. Pack a pair of dark jeans or some quick-drying travel pants, a mix of short and long-sleeve t-shirts, and a sweater for warmth. There is a high chance of rain in the winter, so a raincoat and umbrella is essential. Stylish leather ankle boots are great for this time of year, as they are comfortable enough to walk around in, and keep the rain out. Don’t forget to pack a winter hat and some gloves for when the temperature really drops. Tip: Many people travel around Amsterdam on bicycles, but it can be too chilly in winter, so instead use one of the reliable public transit options, like the bus, tram, or metro. Greece is better known as a summer vacation destination, as the different islands offer a range of beaches and delicious Greek food. A winter in Greece, however, can be just as enjoyable and a lot more authentic. The winter months are extremely mild with temperatures over 40 degrees, and only an occasional drop of rain. It is quiet during this time of year and some resorts are closed for the season, but there is still plenty to do from hiking in the mountains to exploring the archeological sites. Greece style is smart casual and you’ll find most local women in big warm coats. For your winter wardrobe, start with a pair of leggings, a long blouse, and a sweater. Add a waterproof jacket when the temperature drops and a colorful scarf and pair of sunglasses for a local feel. Layers are essential here as some days will be cold and rainy, yet others will be warm and sunny. Wear a pair of ankle boots during the day, and in the evening swap them for heels, a dress, and tights. Tip: If you’re traveling to Greece in the winter, double check that there are regular ferries to the island you wish to stay on. Spain is a popular European destination due to its glistening coastlines; vast mountain ranges, fantastic food, and a blend of old traditions and modern cities. This country has so much to offer tourists at any time of the year, from indulging in tapas and paella to lazing on the beach to exploring palaces and castles. Spain is definitely one of the more pleasant European countries to visit in winter, but that doesn’t mean you should expect sunbathing weather. The temperatures will vary depending on where you go, but from December through March, you should expect a mix of warm and cold days, with plenty of rain in the north. Fashion in areas like Barcelona and Madrid is quite formal and dressy, whereas southern regions are relatively relaxed in their style. Make sure to check the weather forecast for each city because you might experience sun in one place and snow in the other. Read this guide on how to pack for trips with mixed weather. Like most countries in Europe, layers are crucial for battling the volatile temperatures in Spain. Wear some dark jeans, a cute shirt, and lightweight jacket for when the weather is mild, and add an extra layer if the temperature starts to drop. Another favorite for locals is to wear a long skirt and thick tights paired with a shirt and jacket. Most women will also be wearing a colorful scarf. As for shoes, waterproof leather ankle boots are a must for winter in Spain, but make sure they have a solid grip on the soles as the streets are cobbled and steep, making them very slippery when wet. If you’re going to mountainous regions, you’ll need to pack thermals, travel pants, a down jacket, gloves, a scarf, a hat, and comfortable hiking shoes. 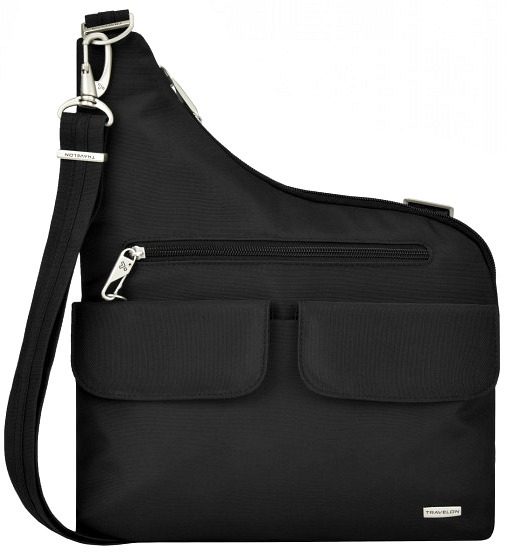 Tip: Use a crossbody purse or anti-theft purse to secure your valuables against pickpockets. It’s also a great way to carry around a much needed umbrella. To learn more, read our complete Spain packing list here! We’ve included some of the readers’ most talked about destinations in this winter Europe packing guide. If you want to see other countries, let us know which ones in the comments below! I hope you liked this ultimate guide to packing for Europe in winter. Please share it with your friends on Facebook, Twitter, and Pinterest. Thanks for reading! Wow!! I love this! I’ve traveled to 64 countries and all seven continents and your lists are exactly spot on as far as packing. I’d say to leave yourself some space for an accessory or two to make a dull outfit stand out. Hi Priscilla, that is so awesome to hear, thank you so much for your lovely comment!! Fantastic advice, thanks for sharing!